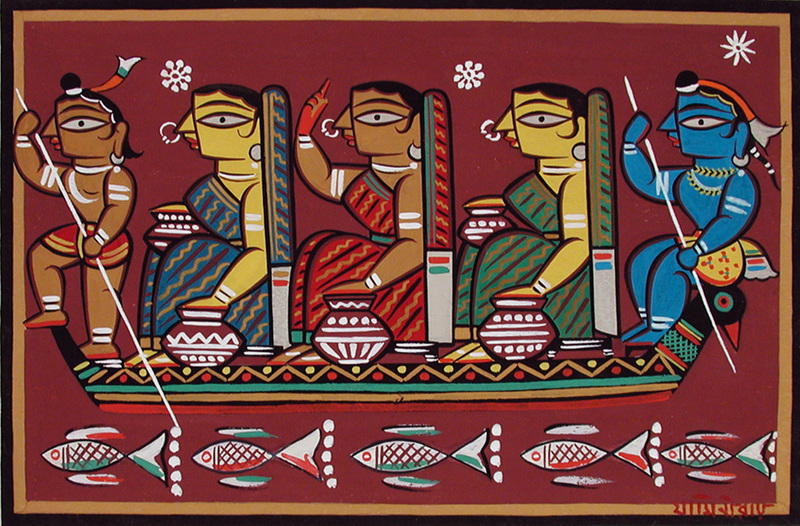 Jamini Roy was a famous Indian Painter. He is famous for his paintings which carries simplicity and the essence of the Indian life. His paintings were inspired from the work of Patua. He was born on 11 April 1887 in the district of Bankura of West Bengal. His family was moderately prosperous. His father was Ramataran Roy. In the year 1903, he joined the Government College of Art, Kolkata. He was sixteen at that time. There under the guidance of Abanindranath Tagore, He learnt the different aspects of paintings. He received the diploma in fine arts in 1908. At the beginning of his career he started with the western style paintings and earned fame also. But he was not satisfied with the European portrait style and later switched to Indian folk art. He turned himself to the Indian art and started experimenting with the patua style of painting. 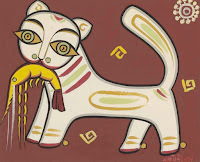 His inspiration for that came from the Kalighat paintings and from the different village patuas. His paintings were first exhibited in 1938 at British India Street of Calcutta. Later his paintings were also exhibited in London, New York. His paintings were quite famous during the 1940. Some of his famous paintings are - Krishna and Balarama, Santal Boy with Drum, Mother and the child, Cats Plus, Cats Sharing a Prawn, Crucifixion with Attendant Angels, Krishna with Gopis in Boat. The main theme of his paintings were life of rural Bengal and religion. He was conferred many awards for his contribution to art. In 1954, he was awarded Padma Bhushan by Government of India. 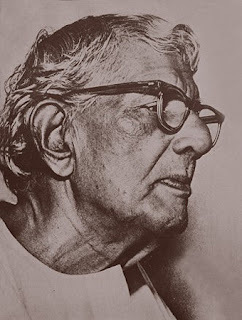 He was made first Fellow of the Lalit Kala Akademi in 1955. He took his last breath on April 24, 1972.